With 2019 seemingly set to be the year that the world’s biggest smartphone manufacturers unveil their attempts to deliver on the promise of a foldable smartphone, there are plenty of ways it could all go so very wrong. That said, there’s so much potential here that’s worth getting excited about. Sure, foldable smartphones could end up being a gimmick like 3D TVs but they could also redefine or shape what the future of mobile computing looks like going forward. Samsung snatched their fair share of headlines late last year when they gave attendees of their annual developers conference a brief glimpse of their first foldable smartphone. Though there’s still plenty of unknowns here, from the specs to the design, we fully expect the device (which some say will be called the Samsung Galaxy Fold or Samsung Galaxy Flex) to make a formal debut sometime in 2019. Samsung have tee’d up their next Unpacked product reveal for the 20th of February - so stay tuned. While Samsung were the first major vendor to grab headlines by showing off their foldable in public, It’d be a mistake to think that Chinese tech brands like Xiaomi are that far behind the curve. Earlier this year, Xiaomi provided a glimpse of what it’s first foldable could look like. While Samsung’s foldable looks like it’ll feature a larger tablet-sized screen on the outside and a smaller smartphone-style one on the other, Xiaomi’s take on the concept is a single more-rectangular display that allows the user to fold the edges backwards when a smaller form-factor is desired. No word yet on any sort of pricing or availability, but we’d be surprised if Xiaomi didn’t ship - or at least announce - something foldable later in 2019. The original Motorola Razr flip-phone was one of the most iconic mobile designs of the pre-smartphone era, and the company are looking to capitalise on that nostalgia by reimagining the brand as their first effort in the foldable space - if the rumors are to be believed, anyway. 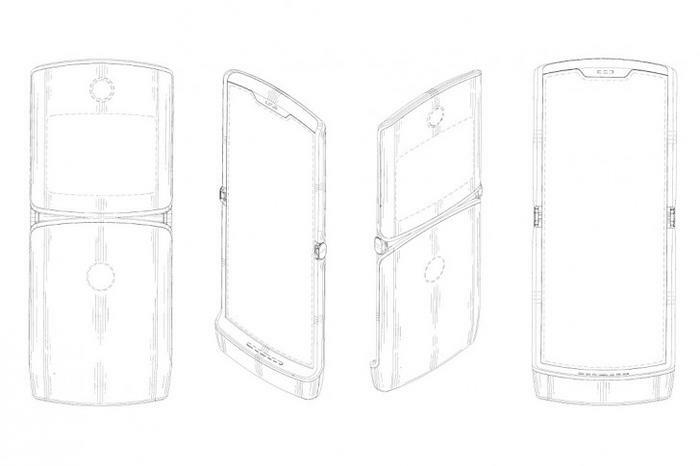 Earlier this year, GSMA surfaced a set of images from a patent filing by Motorola showing a unique vertically-orientated smartphone that appears to be capable of folding away when not in use. Motorola (and their parent company Lenovo) have remained silent on the matter but with the company’s biggest rivals all gearing up to stake their claim in the foldable space, it’s hard to imagine they’ll stay that way for much longer. While we’ve yet to get even a taste of what Huawei’s foldable smartphone could look like, the company hasn’t been quiet about its ambitions to explore the space. Back in October, Huawei CEO Richard Yu confirmed to Digital Trends that the company are working on foldable phones. Since then, the company has been the subject of numerous leaks with some claiming the first Huawei foldable smartphone will be branded as the Mate X. 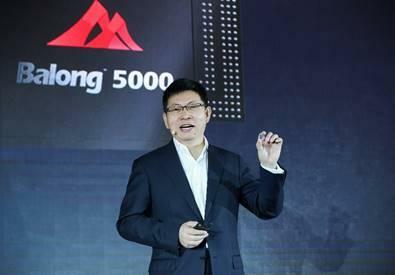 More recently, Yu clarified the company’s intentions by telling attendees of a Huawei 5G event in Beijing that "We look forward to seeing you in Barcelona in February, where we will launch the world's first 5G smartphones with foldable screen." Of all the major smartphone manufacturers said to be working on foldable smartphones, LG is the one that’s managed to keep things under wraps. They haven’t teased a physical product and, a few sneaky patent filings aside, there’s not a lot of information about what their foldable might end up looking like. Still, we’ve a sneaking suspicion that it’ll probably be shaped by their connection to OLED. LG were an early adopter of the next-generation display technology in the home entertainment space. That investment paid off at CES 2019, the company announced a 4K TV that could roll up when not in use. They’re pushing the boundaries of what OLED can offer consumers and it’s hard to not imagine they’ll want to try and do the same on a smaller space in the smartphone space. If anyone is in a prime position to deliver an smartphone that can smoothly fold in on itself, it’s LG. Update: LG's President of Mobile and Home Entertainment recently talked down the possibility of them entering the foldable phone space, saying that their focus is on 5G. Read more here.